Welcome to The Epiphany School Foundation website! Thank you for taking the time to visit and learn more about what we do. 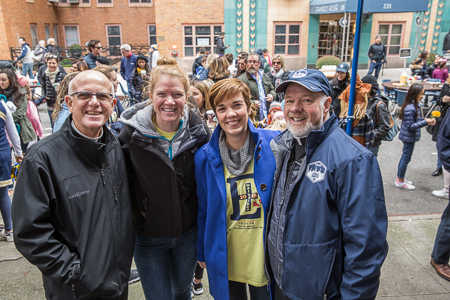 The Epiphany School Foundation is committed to supporting and strengthening the educational experience and community of The Epiphany School through the Annual Fund, special events, and alumni engagement activities. For the past 130 years, The Epiphany School has been providing an outstanding, values-based, Catholic education at an affordable tuition level. The generosity, time, and expertise our community shares with The Foundation enable us to provide student scholarships and financial aid, assistant teachers in the Lower School, the latest technology in our classrooms, professional development for our faculty, as well as enhanced language, art, and music programs. Epiphany is truly a special place. From the faculty and staff who give their all each day, to the curiosity of our students, to the success of our alumni, we are a very unique institution and a true gem of New York City. We are grateful to be part of this success and would not be where we are today without the dedication and support of our donors and volunteers. If you are interested in learning more about how you can partner with us, please stop by our office on the second floor of the 22nd Street Campus or give us a call!